When upgrading to a home theater, you may wonder if existing audio/visual devices can be used in the new home theater. Existing audio/visual devices can work, but you lose a lot in terms of capability and output quality — unless the gear is less than 2 years old and even that may be old. *TVs: If it’s smaller than a 27-inch display, why bother? Home theater needs a big-screen display for maximum effect. 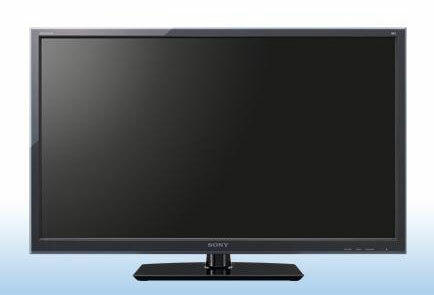 More importantly, ask yourself this: Can my existing TV display HD (high-definition) pictures? If not, you’ll probably want to consider an upgrade. Also check for features such as picture-in-picture, and make sure your TV has the right kinds of inputs to accept the latest and greatest source devices (look for HDMI or DVI). If you’re viewing from a relatively short distance (a few feet, for example), a smaller screen might be better. By sitting close to a large screen, you could end up seeing all the individual pixels and lines that combine to form the picture. Receivers: If your receiver is an audio (stereo) receiver, it probably doesn’t have surround-sound processing capability, inputs for video gear, or built-in amplifiers for surround-sound speakers. You can use an audio-only receiver as an amplifier to drive some speakers, but if you want to listen to the latest surround-sound capabilities, you’ll need a new audio/video receiver. If you have a lot of video sources that you’ll be switching among, you’ll need a receiver with sophisticated video switching. VCRs: As long as your VCR is a VHS hi-fi VCR, it’s just fine. But it won’t replace a DVD player, which has about four times the picture resolution of a VCR (meaning the picture is about twice as sharp and detailed). VCRs are something you would keep in your home theater if you have lots of old videotapes that you still want to watch. Consider finding a service or buying a device to convert the videotapes to digital formats that you can burn onto your own DVDs! CD players: Your CD player will probably work fine. Depending on your space constraints, however, you might just use your DVD player to play your CDs because the two are compatible. Over time, CD players will disappear from your system in favor of a combined disc playing/recording unit. DVD players: Your DVD player will probably play fine, but if it can’t record, you’ll miss out. With the latest personal video recorders, you’ll want to archive and offload all sorts of content to DVDs, and for that, you’ll want a DVD player/recorder to burn the DVDs. Keep in mind that you can often use a PC (with the right software onboard) for the DVD recording functionality. Speakers: These probably won’t be useful if they’re pieced together instead of a set. Speakers work in tandem and therefore should have a similar foundation of performance. If you have a pair of stereo speakers that you can match into a complete set of surround-sound speakers from the same manufacturer, you might be able to use what you have. Other stuff: Most other stuff can work with your system. Turntables, cassette decks, laser disc players, and so on can plug in and play their part without any problems. Internet connection: Okay, your connection isn’t gear in the traditional sense, but still, if you’re using a dial-up connection, seriously consider upgrading to broadband if you want your home theater to take advantage of the increasing amount of information on the Internet.